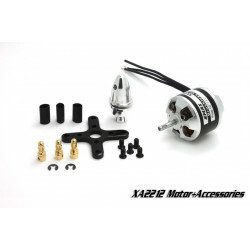 Emax XA2212 1400KV 20A Brushless outrunner motorThe Emax XA2212-1400kv is a 51g, 245 watt 400 class .. These ESCs are designed specifically for multirotor applications and feature all new ultra-low resistance MOSFETs which can withstand high current allowing for their tiny size. They are compatible with both BLHeli (OneShot125, Damped Light (active braking) and SimonK firmware) - BLHeli firmware comes flashed by default. These ESC's have no Bec so you will need a 5V Bec to power your flight controller or receiver. 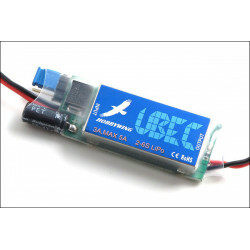 Compatible with all current flight controllers, including Naze, Sparky, KK, Flip etc. Recommended setups: 2204-2208 motors, 6030/6045 props, 3/4s battery. Specially designed for multicopters, super fast throttle response. Auto-adaptation throttle, outstanding motor compatibility. Twisted-pair cable for throttle signal, effectively to reduce the signal cross-talk when transmitting in the copper wire, and make the plane more stable. The refresh rate of throttle signal up to 500HZ, compatible with most flight controllers on the market. Use the new technique with ultra-low internal resistance MOSFET, with N channel pipe drive, strong current resistance ability. miniaturization design, with high performance C-DC built-on the board，minimize the weight to 2g only. Thicken the PCB copper plate, low heat for small aircraft. Towerpro SG50 Digital ServoThe SG50 is a great choice when you need to keep the weight down ideal fo..